The role of preventive dentistry is to protect your teeth, gums, and other oral structures from injury and disease. Whether you’re interested in dental sealants or need to schedule a teeth cleaning, you can trust our Kalamazoo, MI dentist to look out for your oral health. We provide a range of preventive dental services for our patients. Please contact us today with any additional questions you may have about what we can do for you! 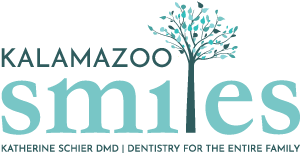 Click the links below to learn more about preventive dentistry or schedule an appointment with the Kalamazoo Smiles by calling (269) 353-3700. Our Kalamazoo, MI gum disease dentist does everything in his power to help you maintain a healthy smile. The best way to avoid gum disease is to brush your teeth twice a day, floss once daily, and see our dentist every 6 months for a teeth cleaning and oral examination. We offer white fillings made of composite resin to restore teeth after removing cavities. We understand that many of our patients are concerned about the materials we put in their mouths, which is why we often recommend composite resin fillings. While we often recommend dental sealants for children, adults can also benefit from getting dental sealants. A sealant covers the entire chewing surface of your tooth, sealing it from food particles, plaque, and tartar. Our dental sealant dentist in Kalamazoo, MI will be able to determine if this procedure is right for you. While teeth cleanings help remove plaque and tartar, it’s important that you continue to practice good oral hygiene at home between appointments. We understand that each patient has their own unique oral health needs, depending on their age, medical history, and other factors. For this reason, our Kalamazoo, MI dentist takes the time to talk with you to discuss how to best meet your oral hygiene goals.